The Best LED TVs Money Can Buy | OhGizmo! By Tyler Lacoma on 11/01/16 • Leave a comment! It’s that time of year again – the time when everyone starts thinking about brand new TV and big screens to watch games, enjoy the holidays, and try out their new consoles with. Obviously 4K is the big new feature to look for, but what other features will you find in the top LED TV picks of 2017? We’ve got your answers, so let’s look at the top affordable models! Note on 4K: If you can, always choose a larger screen for 4K. All those pixels will do a lot better job if they have a bit more space to work with, so to speak. 4K differences can be hard to notice on a small TV. To be blunt, Samsung makes some of the best HDTVs you can find, both in terms of features and overall durability. We love a lot of different Samsung models, but if you have to pick a favorite it’s this one, which includes a little bit of everything for the people who want a TV that has it all. First, it comes with 4K and 3D capabilities to give you cutting edge imaging in both formats. It comes with smart features and Wi-Fi – a lesser consideration, but great for those who don’t have any set-top boxes. On the other hand, if you have a lot of set-top boxes, then you’ll love the four different HDMI ports and 3 USB ports, which allow you to connect even the most complicated, non-receiver entertainment systems. The “effective” refresh rate, while not important to everyone, is also at a high 240CMR. You also get a number of choices when it comes to size, from 40-inch to 75-inch models. 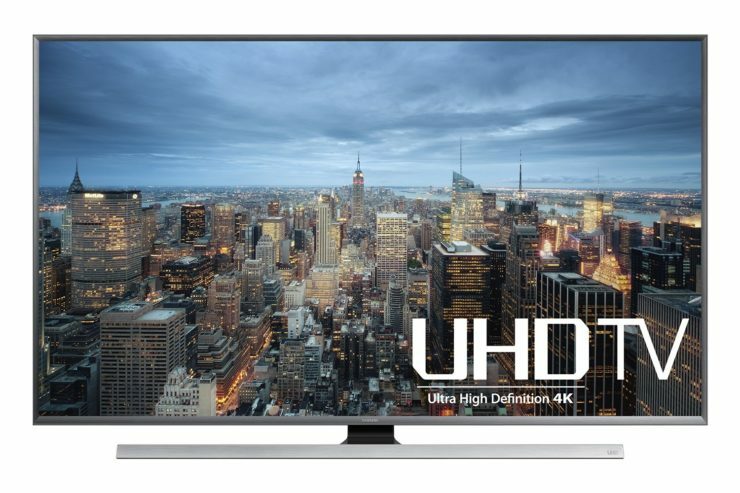 We chose the 65-inch option as our favorite because 1) that’s probably a lot larger than your current TV and 2) it’s a great size to really enjoy the 4K and 3D content that you might be using. Okay, we know, $2,500 is a whole lot of money to spend on a TV, even if it can do everything. 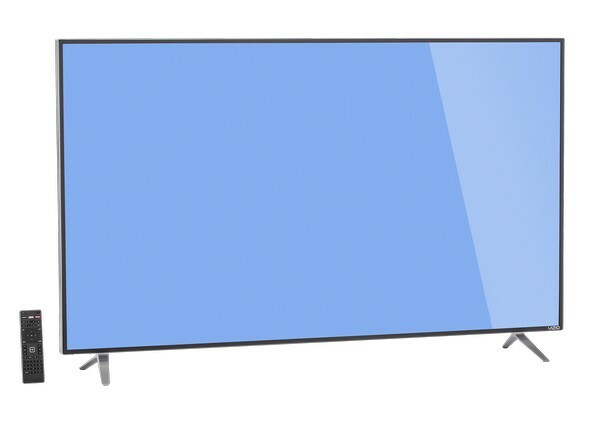 If your budget is a bit lower, then we suggest this 55-inch Vizio model instead. For around $800 (sellers have different prices for this model), you still get 4K resolution and a 120Hz effective refresh rate: This is ideal if you think of 3D as more of a gimmick and only want that good old ultra resolution. There are smart features here, as well as 5 different HDMI ports to work with and one USB port for attached storage devices, etc. Otherwise, this model is pretty bare bones, but that adds to the charm if you ask us. Many people already have all the other bells and whistles they want in other devices or setup: They just want a good, easily mounted screen to for their image. This Vizio option works very well in these circumstances. Also note that you have multiple screen sizes to pick from here, too, but if you start going above 65-inch models then they get very, very expensive. This Sharp model is somewhere between our first two picks. It has many of the same features that make them all great purchases, including 4K capabilities, a 120z effective refresh rate, and smart features. But what really makes this model stand out is the focus on plenty of input options. Not only do you get multiple HDMI and USB ports, but also options for component, composite, and digital optical audio out. 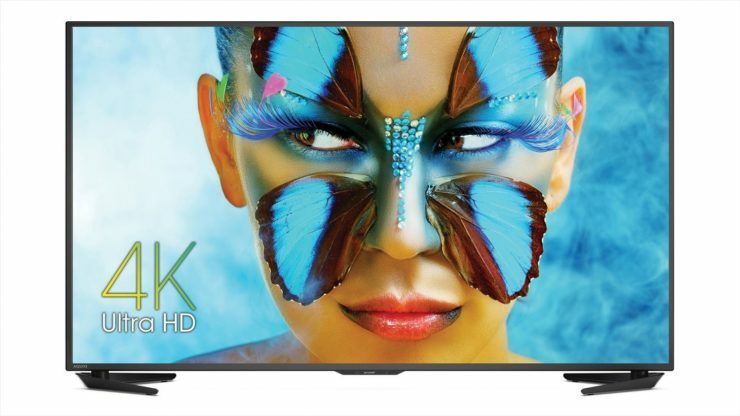 That makes this model a good choice if you have older devices that require more traditional connections that some modern HDTVs just don’t have. If you have needs beyond HDMI, then this TV can probably handle them for you.